An amazing place…these heartfelt words from a guest of Family House truly captures the intent and spirit of Family House, as a “home away from home” for those facing a medical crisis and seeking treatment in Pittsburgh. For nearly 3 decades, Family House has been an integral part of the Pittsburgh community, offering affordable, safe and comfortable accommodations for those facing catastrophic situations, thus reducing the emotional and financial stress for people facing a desperate medical crisis. Family House is one of the largest hospital hospitality houses in the country. Since 1983 over 137,000 people from all over the world have stayed at Family House while seeking medical attention at one of Pittsburgh’s prominent hospitals. This year Family House will celebrate 30 years of service. Behind the nonprofit sits an array of dedicated, passionate people who strive to keep Family House the comfortable, cozy and affordable safe haven that many have come to rely on during trying times. Glen Feinberg, Chairman of the Family House Board, is one of these dedicated individuals. 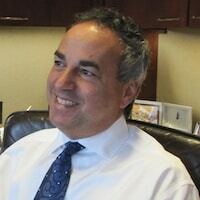 Glen Feinberg is Principal at Deloitte Consulting and is a Pittsburgh native. Feinberg has been on the Family House Board of Directors since 1998 and is serving his second year as Chairman of the Board Feinberg was first introduced to Family House’s mission by fellow and current board member, David Navikas. Instantly, Feinberg became an active, involved member of Family House’s board and began by working closely with the finance committee. In 2012, when Feinberg became Chairman of the Family House Board he became the biggest advocate for the cause by delivering Family House’s message wherever and whenever possible. As chairman, Feinberg leads the board in all aspects such as leading the Board of Directors, facilitating committees and leading the strategic planning efforts. The Executive Committee, Vice Chairs of Advancement, Governance, Nominations and Finance members also all report to Feinberg. Perhaps the biggest effort of Chairman of the Family House Board is overseeing all fundraising efforts and stewards donors. As Chairman of the Board, many obstacles fall in Feinberg’s path and other board members look to him for guidance and support. One of the biggest challenges according to Feinberg is to stay ahead of the changing healthcare environment. “Treatments are changing rapidly, providers are evolving their models and insurance reforms are fundamentally changing referral patterns and payment mechanisms. All of this directly affects our vision for the future and how we operate today,” states Feinberg. Each year, Family House holds its biggest fundraising event, Family House POLO at Hartwood Acres. Over 2,000 spectators attend the signature event and donate thousands of dollars to ensure Family House can continue to help families in need. Polo, along with the Gifting Gala assist in Feinberg’s number one priority which is to help the staff and board drive Family House’s mission and strategies to enable the continuing support of families in need for many years to come. For more information on Family House visit www.familyhouse.org.